Melbourne’s Leanne Fergeus makes you believe you’re looking at a painting on a small canvas in her most recent series of polymer and acrylic brooches and pendants. As her 100 Day project winds down she’s just hitting her stride with a whole series of acrylics. Go to Instagram to look closely at the rich canvas texture of these mini-paintings. 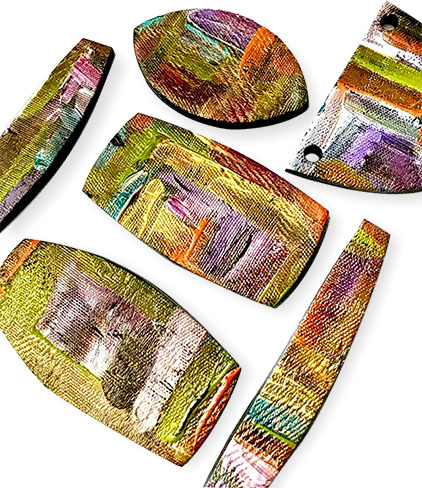 She paints thickly on a larger sheet and cuts the polymer into pieces that she backs with a thick black layer.